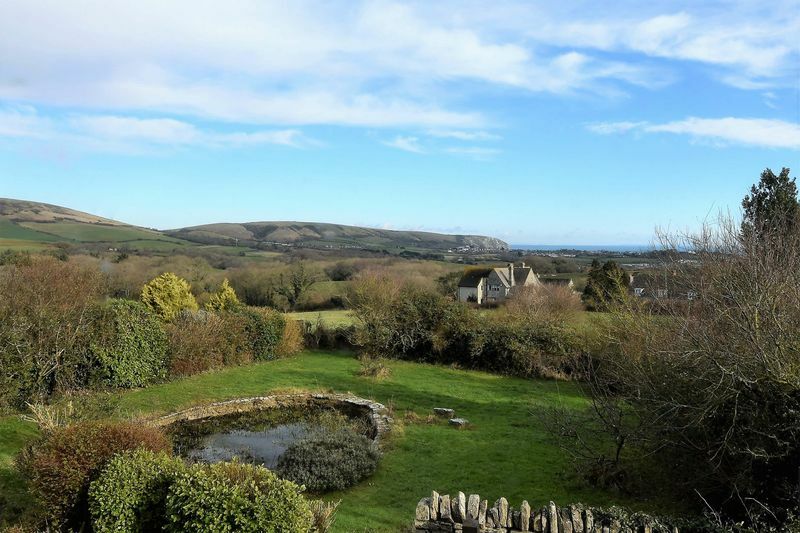 The pretty village of Langton Matravers sits to the west of Swanage, extending from the valley bottom at Coombe up hill towards Acton and Worth Matravers, an area well known for the quarrying of Purbeck Stone. 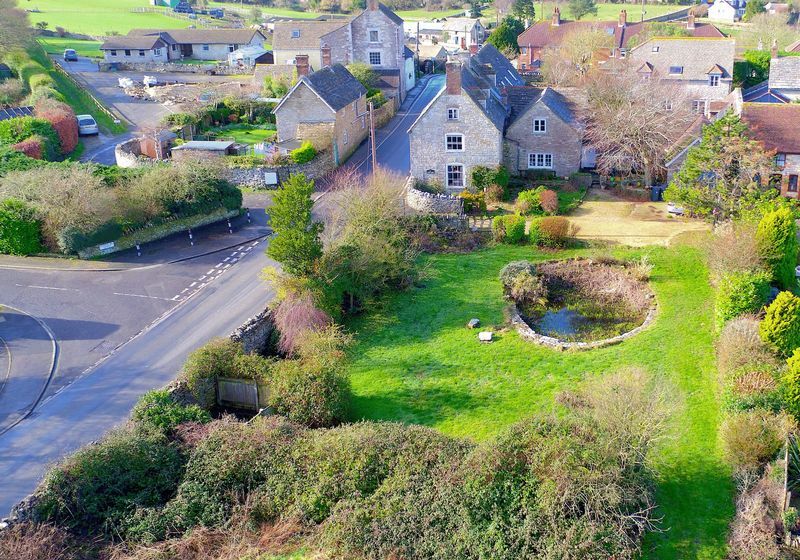 Village Stores and Post Office, Public House, Church, Museum, School, Putlake Adventure Farm and Garden Shop, Local Walks and access to Priests Way and South West Cliff Path all within a short walk from the village centre. 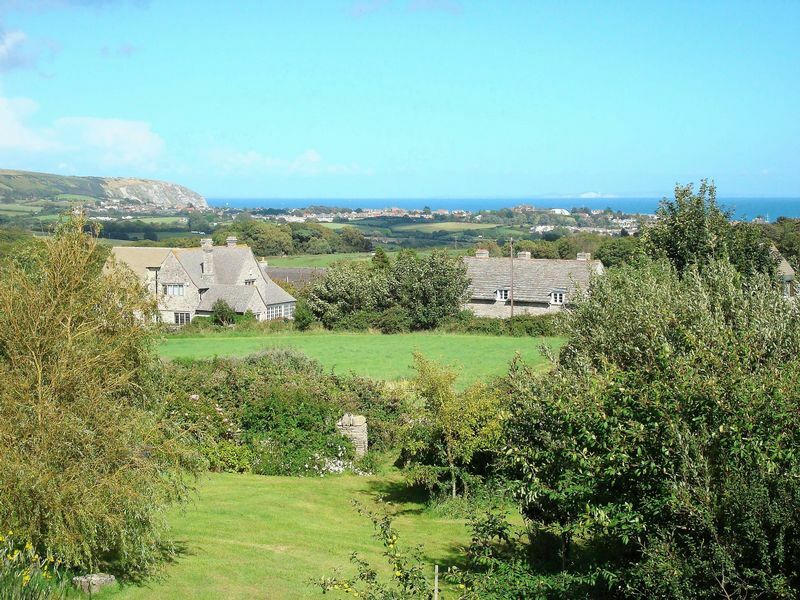 The sandy beaches of Studland and Swanage are a short drive, and a regular Bus Service from Swanage travels through to Wareham and on to Poole, with train links available from Wareham and Poole. 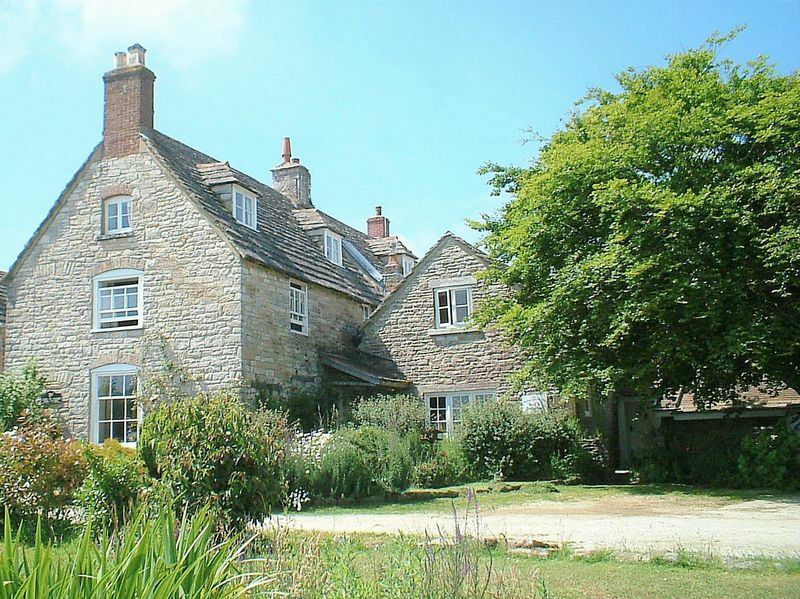 Langton Manor Farmhouse is a Grade II Listed Character property, built of Purbeck Stone in the latter part of the 1800’s, with parts dating back to 1635. 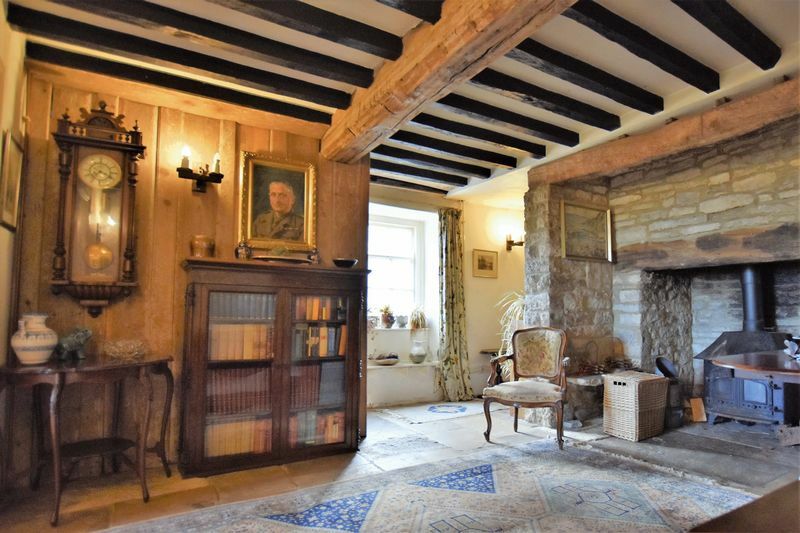 This cottage boasts many original features, with three Inglenook Fireplaces, Flagstone flooring throughout most of the ground floor, and exposed beams in all main rooms. 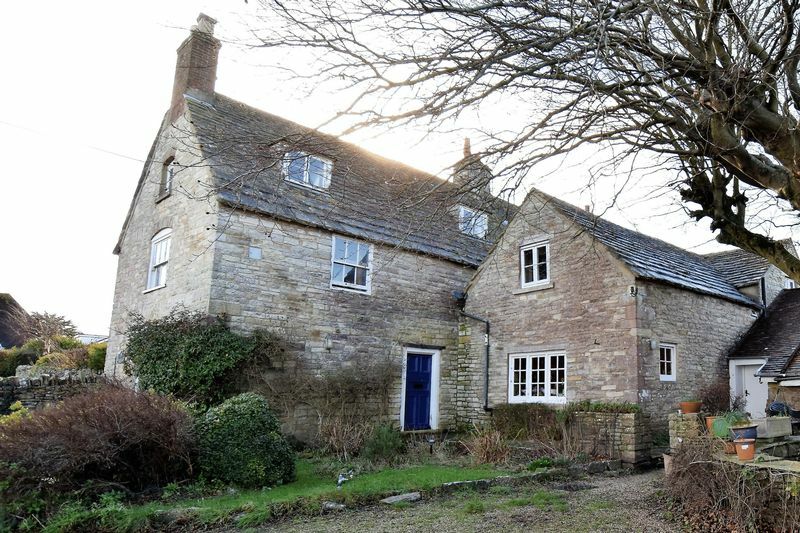 With five double Bedrooms, three spacious Reception rooms, Kitchen/Breakfast Room, three Bathrooms, Study, Utility Room, and three staircases, this is a substantial Family home and with one of the Bedrooms being en suite and accessed by its own stairway, it lends itself perfectly for Bed and Breakfast/Airbnb accommodation. 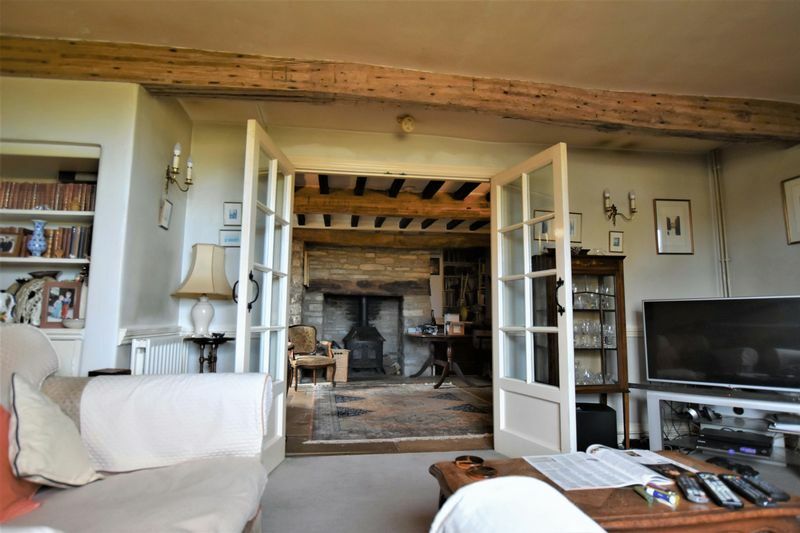 Ground Floor - Entry from the front door opens in to a spacious Reception Hall with flagstone floor, and Inglenook Fireplace with multi-fuel burning stove, fully exposed beamed ceiling and wood panelled wall. 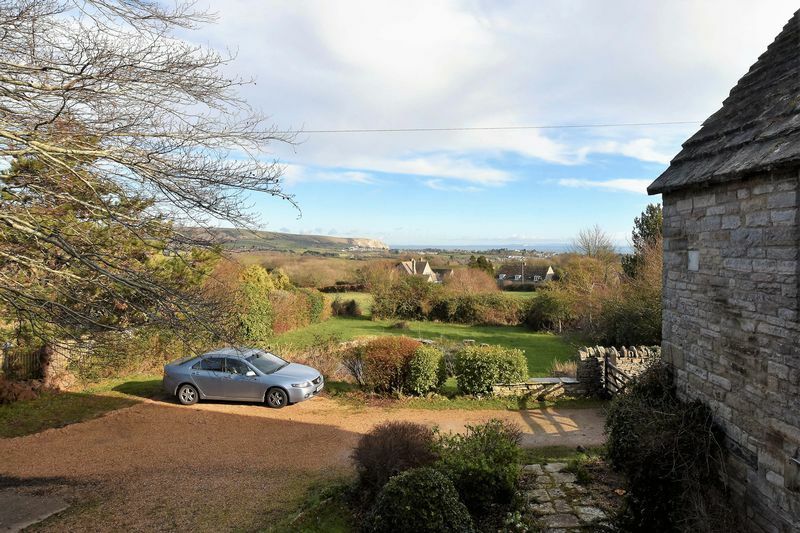 A pair of glazed doors lead into a cosy Sitting Room with open fire and views to Nine Barrow Down and Swanage Bay. From the Hall a door opens into the Dining Room and stairs from the Hall lead directly up to Bedroom 1. 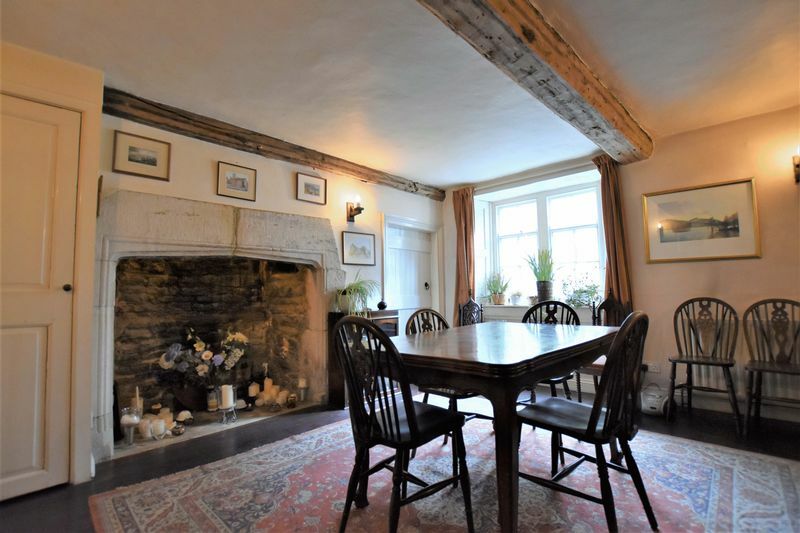 The Dining Room is another generous sized room with wooden flooring and a pretty ‘Minster’ style Inglenook Fireplace which is not currently in use. 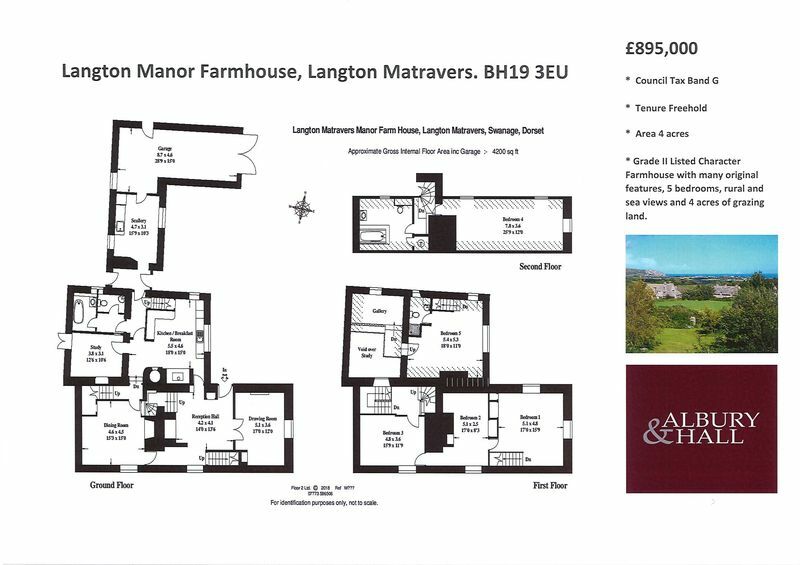 Another door leads from the Dining Room to a Hallway with the second set of stairs to the first floor Landing, access to Kitchen, Study, ground floor Bathroom and Utility Room all located in the L shape of the property. 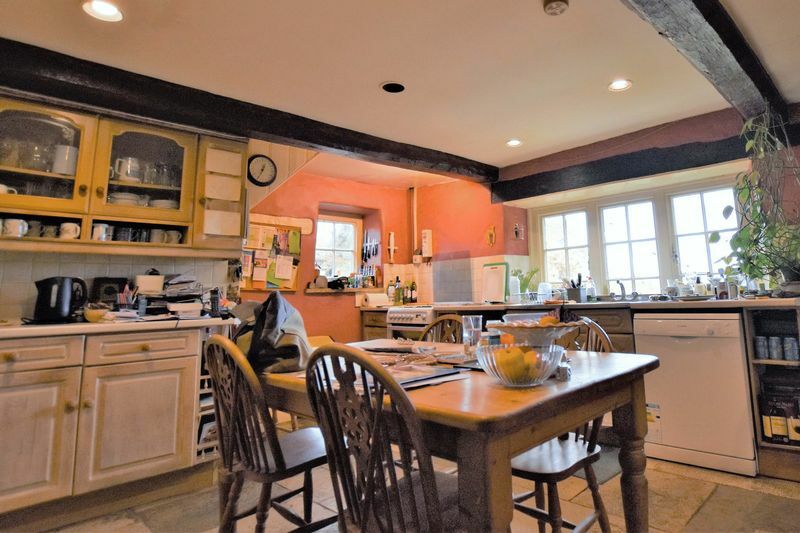 The Kitchen/Breakfast Room with Flagstone floor, has a large window, offering stunning rural and sea views. 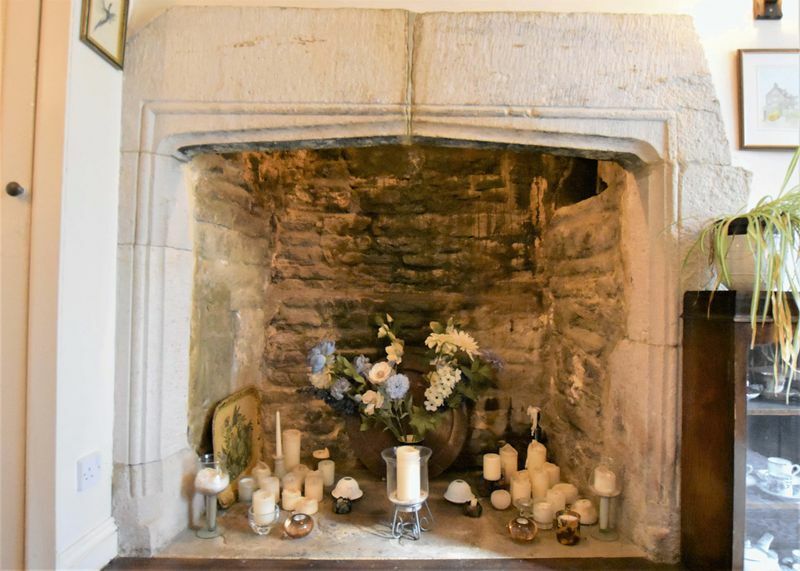 The third Inglenook Fireplace is located in the Kitchen and currently houses a gas fired stove, to the side of the Inglenook the original Bread Oven has been opened up as a storage feature. 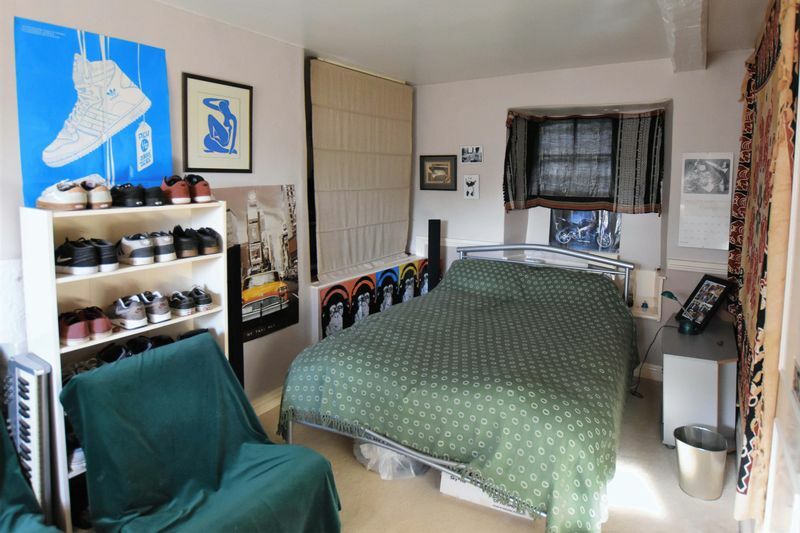 A good selection of wall and floor units are set out around three of the walls, leaving plenty of space for a table and chairs in the centre of the room. 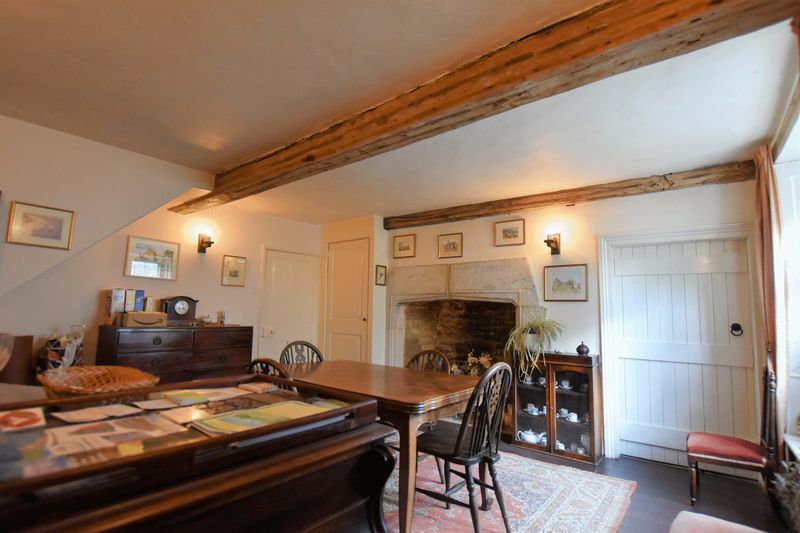 The Study/Family Room is a good size, with built in storage and vaulted ceiling. Another door from this Hallway opens in to a large room with separated rooms, the first containing a ground floor wc and wash basin, and the inner room housing a bath with overhead shower and wash basin. This end of the Hallway opens in to the rear door Lobby and generous Utility Room which in turn gives side door access to the sizeable Garage. 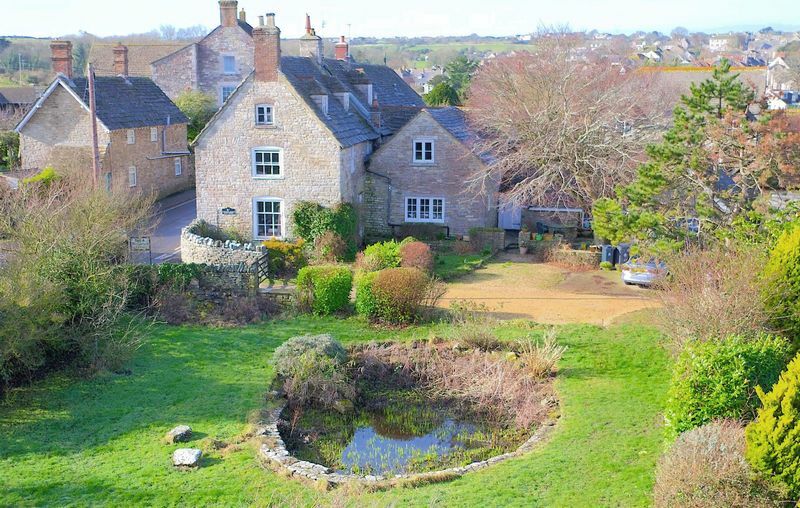 The rear door opens in to a sheltered, pretty Courtyard Garden with Purbeck stone walls and paving. 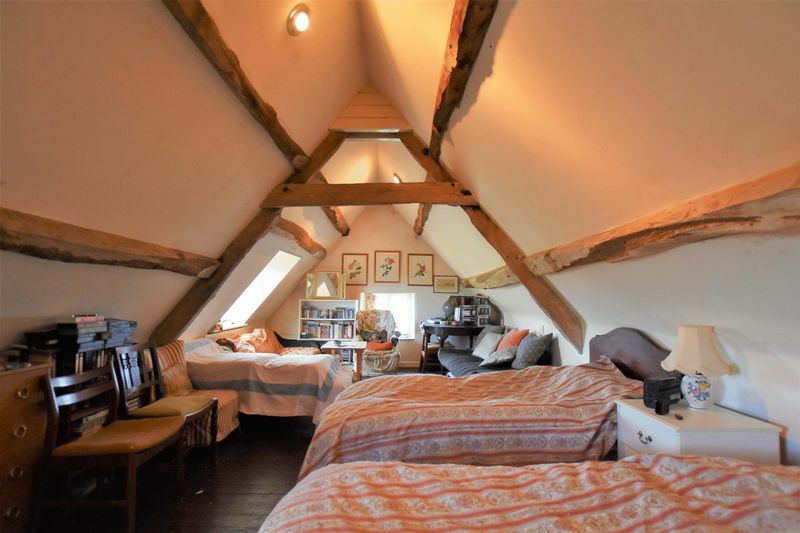 First Floor – From the landing a door opens in to Bedroom 3, a good size double room with exposed beams and low level window, perfect for a window seat. 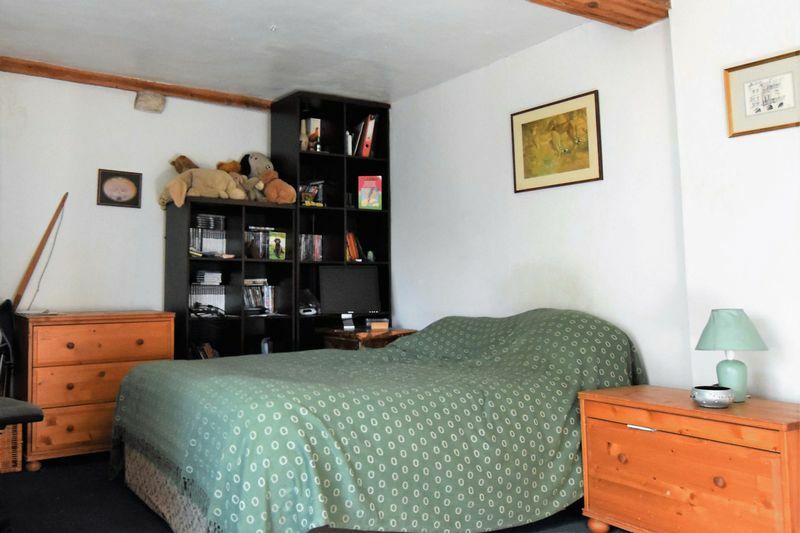 Bedroom 2 in the middle of the first floor can be accessed from both Bedroom 1 and 3, another double size room with north and south facing windows and built in wardrobes. Bedroom 1 has access from Bedroom 3 or by the second stair case from the Reception Hall. 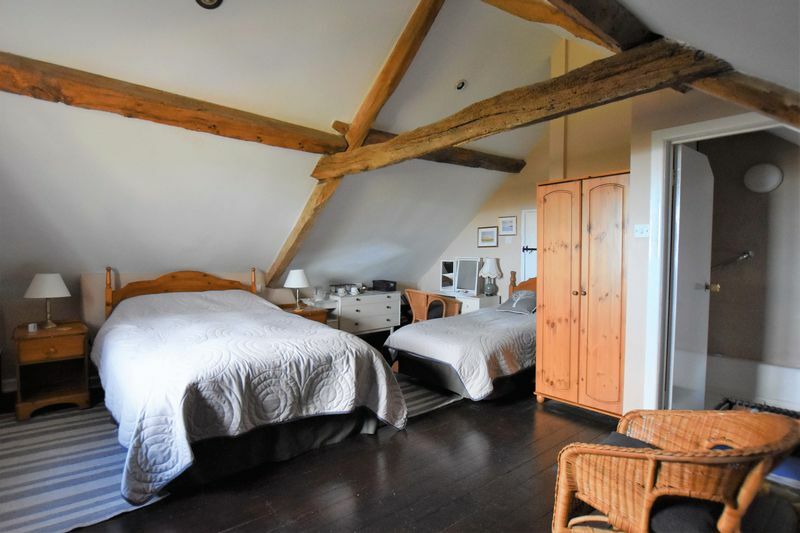 This is a large double room with wooden floor, exposed beam and built in wardrobes. 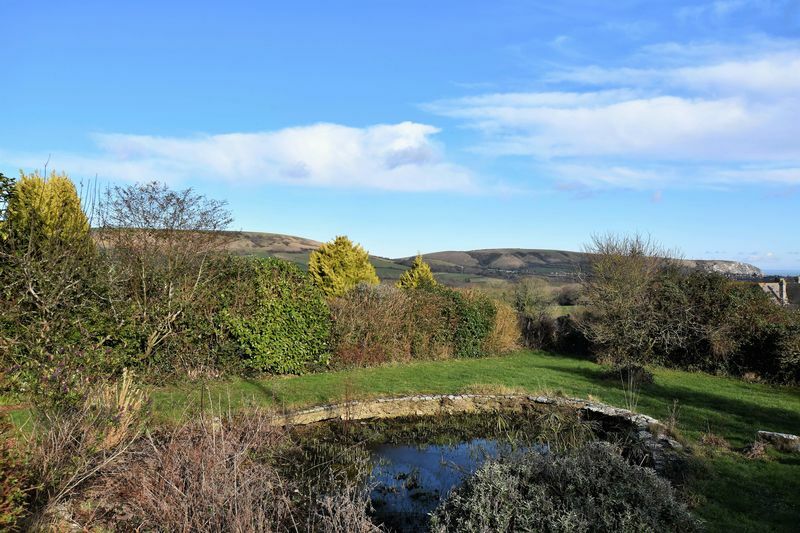 A light room with north and east facing windows presenting fine views of Nine Barrow Down, North Hill, Ballard Down and Swanage Bay. Second Floor - Stairs from the first floor landing rise to the second floor, comprising of Bedroom 4, a large, long room, with wooden floor and exposed roof beams, great for children to combine with a play room, or a teenage Snug/Bedroom, a lovely space to again enjoy the elevated rural views. 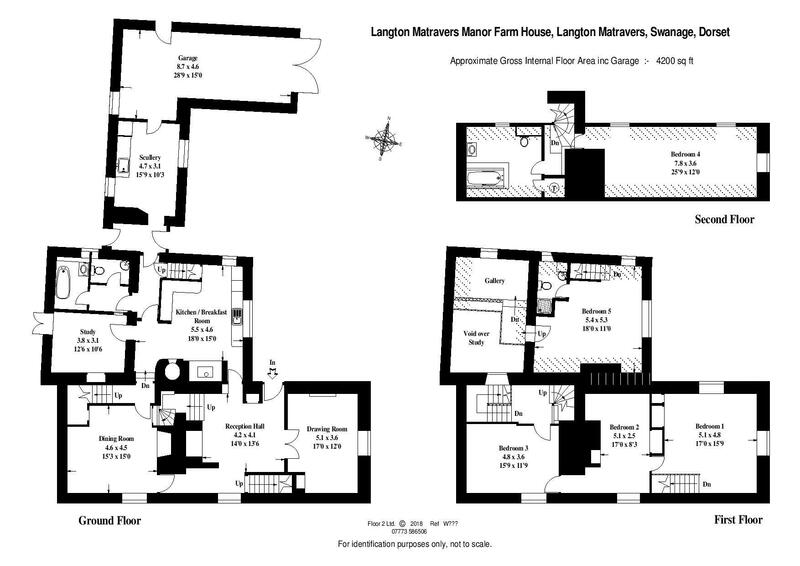 It would also make a charming Master Bedroom as the second room on this level is a Bathroom sanctuary. 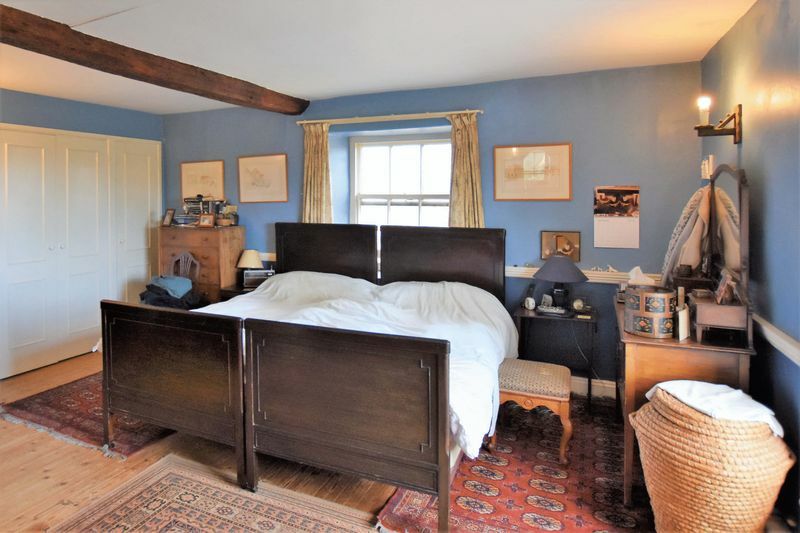 A large room with wooden floor and exposed roof beams and airing cupboard. 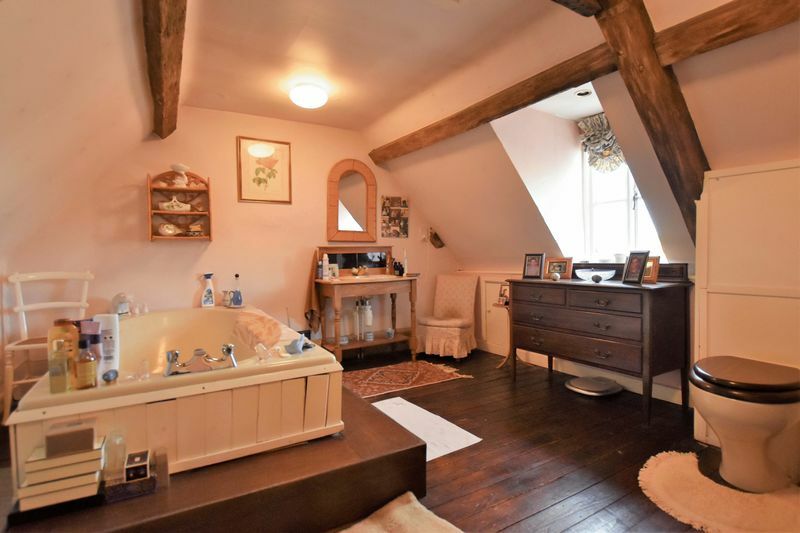 The bath has been elevated providing a romantic, calming space to relax, whilst taking in the views through the dormer window. Bedroom 5 is accessed from a closed stairway leading up from the back door Lobby. 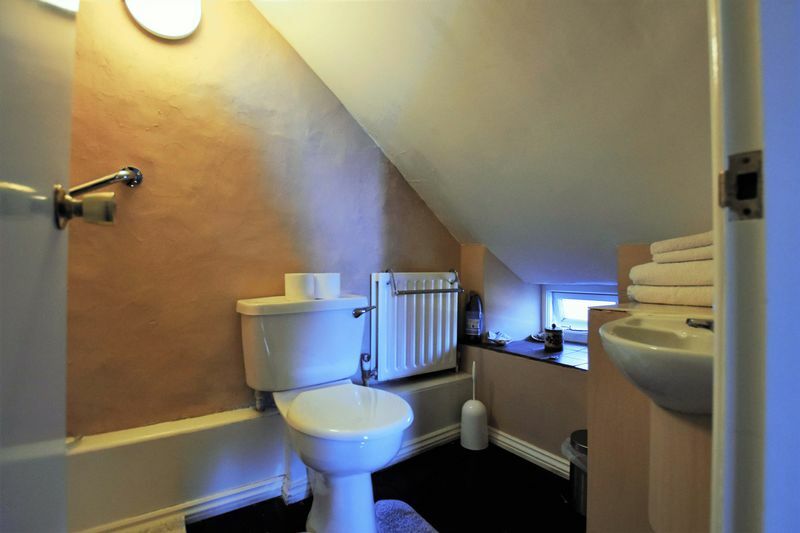 Currently being used as B&B accommodation, the room is large enough for both double and single beds, with a quirky Shower room en suite nestled into one side of the eaves. 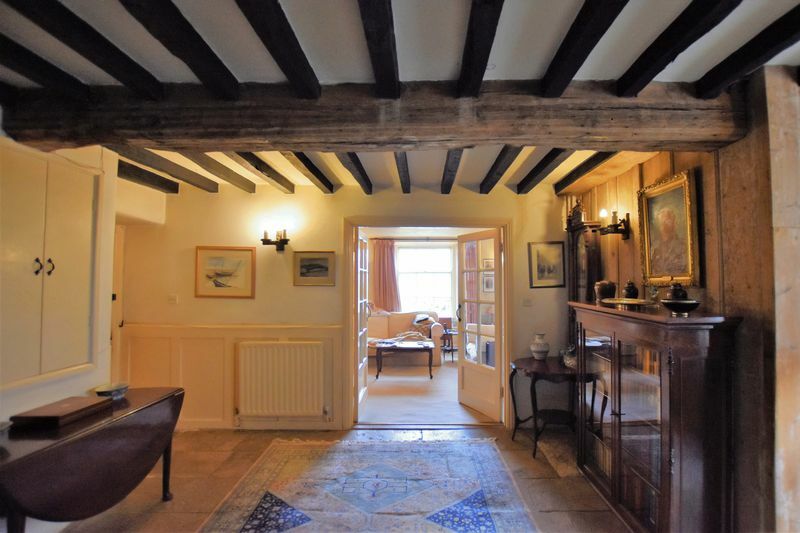 Wooden flooring and beautiful exposed roof timbers and again enjoying glorious views of the hills, Swanage Bay and the Isle of Wight. A small door leading from Bedroom 5 opens in to a large attic storage space with a window overlooking the courtyard garden. 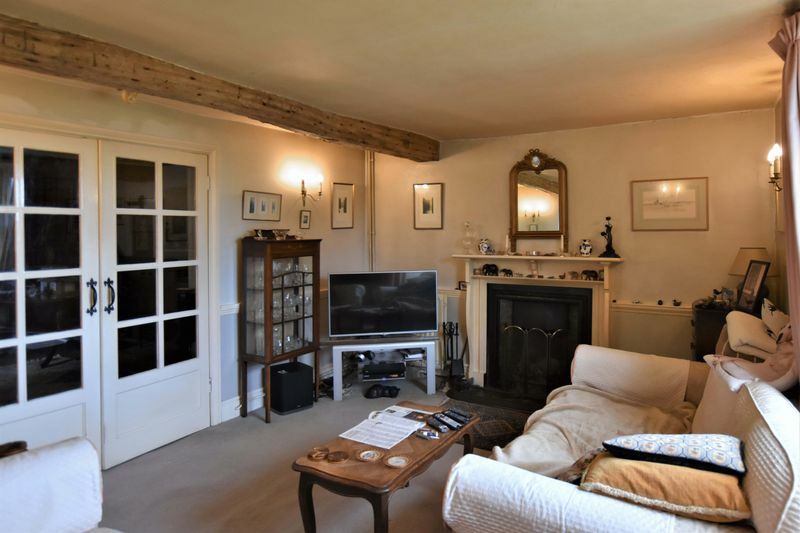 This area is large enough to make a small bedroom or sitting room. Outside - A shared gravel driveway with five bar gate provides vehicular access to parking for several cars and access to the double length Garage. 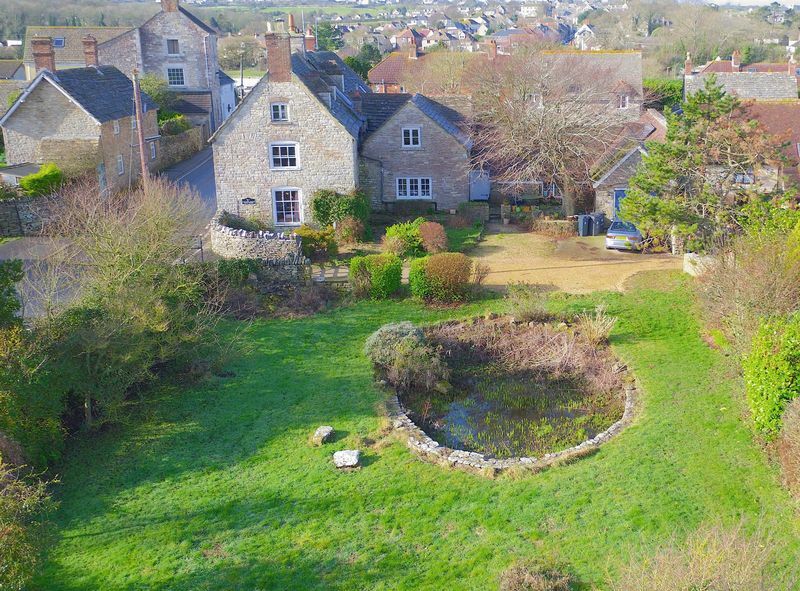 The main garden extends out to the east side of the property and is laid to lawn with a pond and well established shrubs and some apple trees. 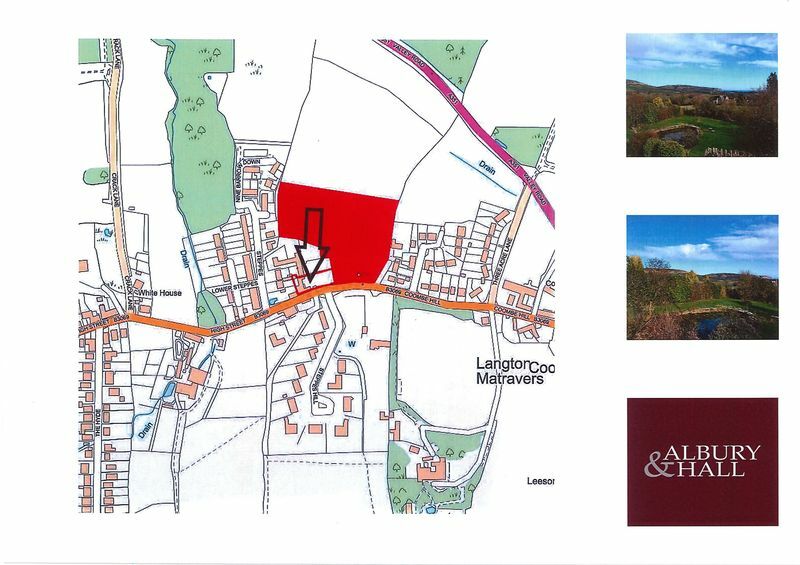 Beyond is a field extending to around 4 acres of grazing land included within this sale. 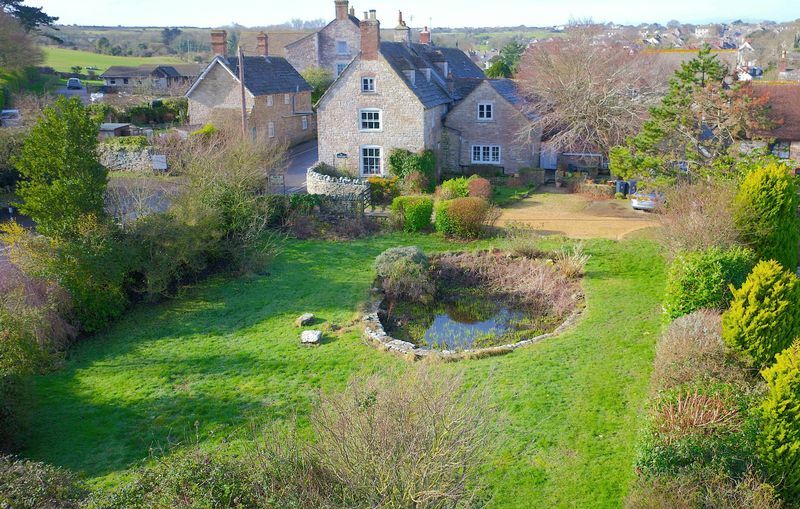 The pretty courtyard is an ideal outside seating area with a lovely cottage garden feel.